South Jamaica Proposed Rezoning. Image: Courtesy of NYC Department of City Planning. Contextual rezoning would impact 538 blocks in South Jamaica. 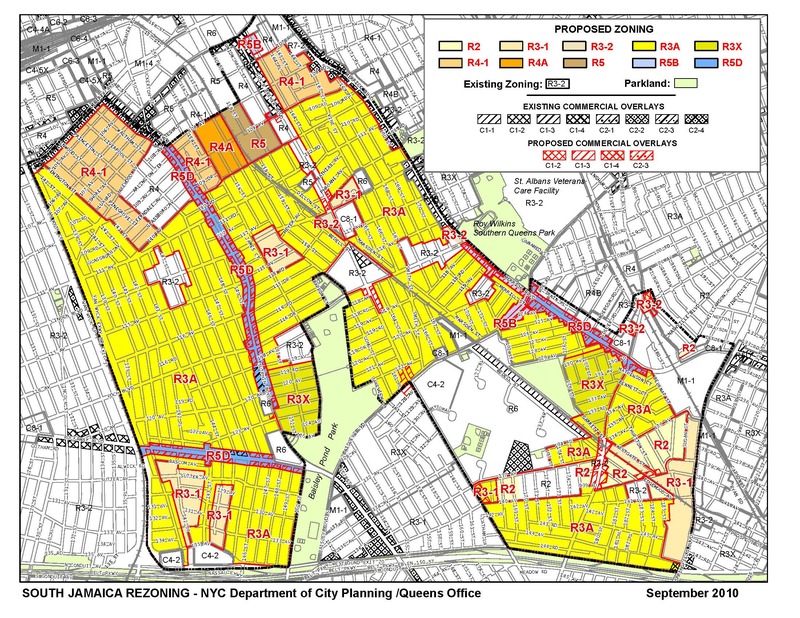 On May 4, 2011, the City Council’s Land Use Committee approved a Department of City Planning proposal to rezone South Jamaica and portions of Springfield Gardens and St. Albans in southeast Queens. The 538-block rezoning area is generally bounded by Liberty Avenue and South Road to the north, North Conduit to the south, Merrick and Springfield Boulevards to the east, and the Van Wyck Expressway to the west. Planning also proposed a zoning text amendment to expand the City’s FRESH program to commercial and manufacturing districts within the rezoning area and other portions of Queens Community District 12. The FRESH program offers incentives to encourage the development of grocery stores in underserved neighborhoods. South Jamaica is a residential neighborhood characterized by one- and two-family detached houses, with small pockets of one- and two-family semi-attached and attached houses and multi-family buildings. Approximately 97 percent of the study area is zoned R3-2 and R4. These zoning districts permit a variety of housing types at densities that are inconsistent with the neighborhood’s built character. Planning proposed replacing the R3-2 and R4 districts with ten contextual zoning districts that would reinforce existing development patterns and encourage growth in appropriate areas. The proposal would apply R3A districts to 385 blocks throughout the rezoning area, restricting development to detached homes. Sixty- three blocks in the study area’s northern portion would be rezoned to R4-1, allowing only detached and semi-detached housing. The plan would apply R5D districts to 80 blocks along Merrick, Sutphin, and Rockaway Boulevards to encourage a moderate increase in residential development density along those major corridors. The proposal would also update commercial overlays to better reflect existing uses. Queens Community Board 12 and Borough President Helen M. Marshall supported the rezoning, and no one testified in opposition at the City Planning Commission’s public hearing in early March. No one opposed the proposal at the Council’s Zoning & Franchises Subcommittee hearing. The Subcommittee and Land Use Committee approved the rezoning, and the full Council is expected to vote on the plan at its May 11 stated meeting. CPC: South Jamaica Rezoning (C110145 ZMQ–rezoning); (N 110146 ZRQ–text amend.) 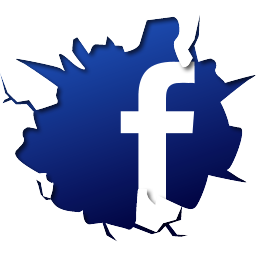 (May 4, 2011).